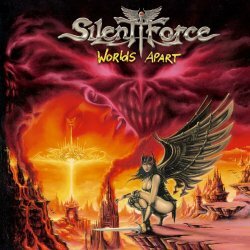 "Harder, faster and more melodic"; this straightforward, yet very eloquent formula applies to the German-American metal band, Silent Force. The band is driven by creative engines Alex Beyrodt (guitarist for Sinner and Primal Fear) and vocalist D.C. Cooper (ex-Royal Hunt). 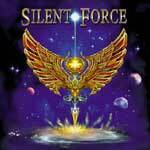 Silent Force have gained a solid fan base since 1999. 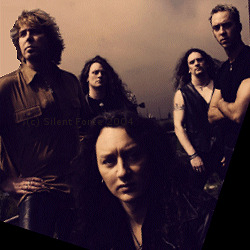 Aside from Stratovarius, bands like Angra or U.D.O., and more recently, Kamelot, have gotten benefits of their support. The extremely positive impression of their live performances is guaranteed by the contributions of drummer Andre Hilgers (of Axxis fame), bassplayer Juergen Steinmetz (who has replaced Fleisch in 2003) and keyboarder Torsten Roehre, who conquers any stage with reckless abandon. 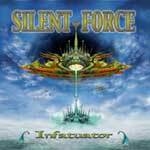 After the debut "The Empire Of Future" (2000), the band released a second record entitled "Infatuator" (2001). 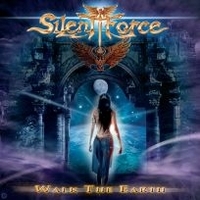 Their latest album, "Worlds Apart" was released in 2004 by Noise Records, and is their most successful to date. It documents the group's tremendous development as a tight unit that has continued to grow together in the course of their already eventful history. The recording of their fourth album is already in process, and a release is scheduled for August of 2006.